The trailhead is located on PR 930 approximately ¼ mile west of the closed gate at the upper (southern) end of PR 191, km 13.0. There is limited parking available on the left (south) side of PR 930 just before the trail sign, and/or adjacent to the gate at the end of PR 191. The Mount Britton trail is 0.8 miles in length, rising from 2,493 feet to 3,087 feet. Hiking time is 40 minutes one-way. The trail is mostly cement and asphalt paved with some graveled sections and the difficulty level ranges from easy at the beginning, to challenging near the peak. The trail rises rapidly through the Sierra Palm forest, crosses two rushing mountain streams and then intersects with Forest Service Road. Here you turn right and continue along this road for approximately 500 feet, where it intersects with the remaining portion of the trail. 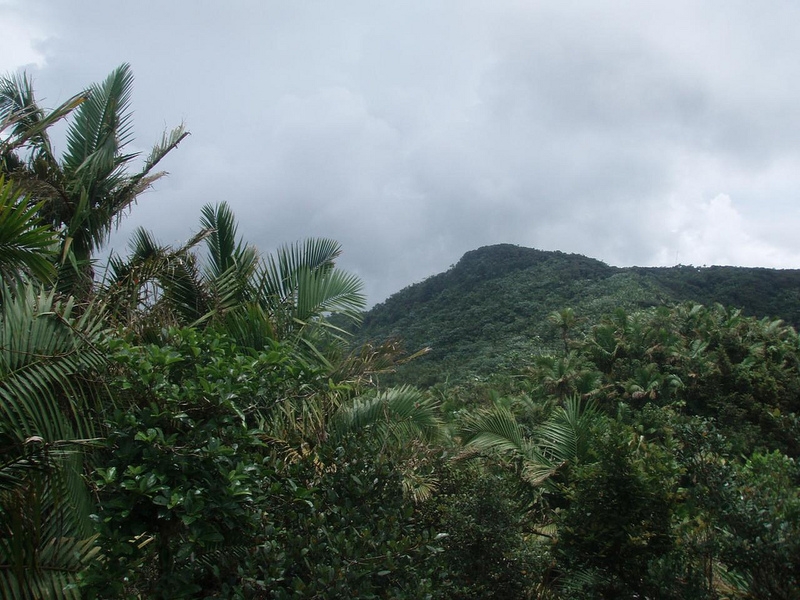 The trail leads steeply upward through the Cloud Forest until it reaches Mount Britton peak and the Mount Britton Tower. On a clear day from the observation deck you can get a panoramic view of the surrounding forest, the Atlantic Ocean, the Caribbean Sea and the southeastern and northeastern coastal plain. Hikers who choose not to return the way they came, can take the Mount Britton Tie # 19 (0.3 miles) to its junction with the El Yunque trail and proceed downward to its junction with the Baño de Oro trail which exits at PR 191, km 12.3 just up from the Palo Colorado Information Center, and walk south (up) to the gate at the end of the road to regain their cars. This should take approximately 1 ½ to 2 hours.